ESPN's 'Broke' Looks At The Many Ways Athletes Lose Their Money ESPN brings back its "30 For 30" series with Broke, which examines why professional athletes fall on hard times with such regularity after their careers end. 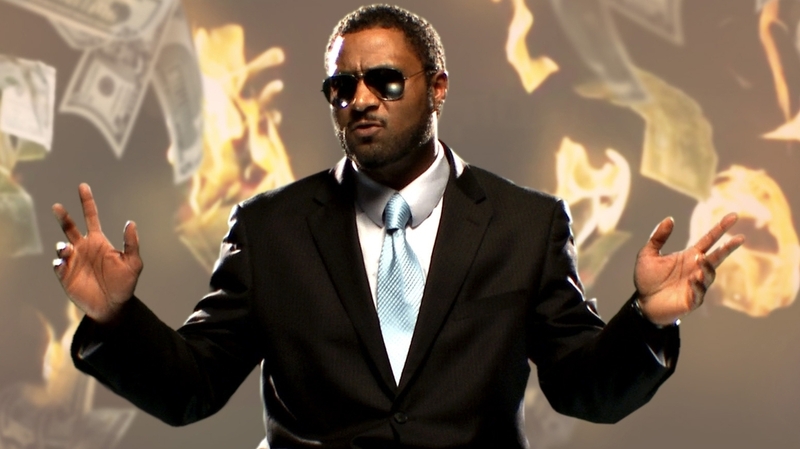 Andre Rison is one of the athletes who speaks about money in the new ESPN documentary Broke. Broke, the documentary that brings ESPN's outstanding "30 For 30" back tonight, begins with this pair of statistics, courtesy of Sports Illustrated: "By the time they have been retired for two years, 78 percent of former NFL players have gone bankrupt or are under financial stress; within five years of retirement, an estimated 60 percent of former NBA players are broke." The mission of Broke, directed by Billy Corben, is to explore the factors — and there are a bunch — that lead to professional athletes, widely known for their very high salaries, to have such a dismal record when it comes to post-career financial security. Nothing more than a collection of talking-head interviews with former players and a few other experts in finance and sports, the film starts with the obvious. And then there's the extravagant spending. Cars, houses, jewelry, tailored suits ... the culture of active professional athletes, at least in the NFL and the NBA, is one that encourages excess, and because it attracts such competitive and driven people, some describe becoming competitively profligate, which is sort of a disaster, as you can imagine. Remembering a fox coat he bought and wore only a couple of times, NFL linebacker Bart Scott speaks not with mild regret but with ... well, this: "It almost makes me look like a silverback." But where the film gets more interesting is where it moves from these issues to the ones that don't necessarily come to mind first when you think about why people who have been incredibly well paid wind up broke. They don't just spend money buying diamonds and cars (although they buy a lot of diamonds and cars). They gamble. They keep having to start over in new cities if they're traded. They pay high tax rates, and then they pay agents and lawyers. They don't remember to budget for the off-season, especially in the NFL, which pays them week to week — anyone who didn't already know that probably learned it during the NFL lockout, when players who are thought of as extravagantly compensated sought loans to tide them over. There are all kinds of bad decisions that go beyond extravagant purchases. They agree to invest in businesses, from restaurants to record labels to car washes. (Retired wide receiver Andre Rison is one of the film's most entertaining contributors, and really knows how to bring a dry, perplexed kind of delivery to a line like, "For some reason, professional athletes got this fad with buying ... car washes.") They're subjected to straight-up theft and they're hit up by friends and family. As Herm Edwards, a former player and coach who now does presentations for players, puts it, "It's hard to tell people that you love 'no.'" Longtime Cleveland Browns quarterback Bernie Kosar, who declared bankruptcy in 2009, estimates that he was at one time or another supporting somewhere between 25 and 50 families. One other thing. Don't forget: in order to go bankrupt, you don't have to lose all the money you made in a lifetime of being paid as a professional athlete. You only have to lose whatever you made in your career. An average NFL career is between three and four seasons. You may wind up with injuries that need long-term care, or that inhibit your ability to work in other jobs. The film becomes, in part, a picture of how hard it is to place your current fortunes in the context of what will become your later fortunes. What 21-year-old is good at thinking, "I'm really going to need this money in 20 years if I blow out my knee"? What's impressive about Broke is that what starts out as a pretty simple-sounding question — Why do guys who live extravagantly wind up running out of money? — turns out to be a pretty complex one. Yes, they lose their money by spending it foolishly, and nobody is shying away from that. But they don't lose it only by spending it foolishly. They lose it by being young, by loving their families, by mistaking a bad investment (like a restaurant) for a safe, mature thing to do in preparation for what comes after sports. Broke is ultimately a little too unstructured for me; I became weary after a while from listening to the thumping music under the interview clips. I'd absolutely have cooled it with the music at some point, because it does become distracting. But the information here, and the straightforwardness with which a lot of these guys offer it, is fascinating. The "30 For 30" series has been great at explaining the culture of sports to both fans and non-fans, very much including the business side. (The first one I ever saw was the fine King's Ransom, about the trade of Wayne Gretzky to the L.A. Kings. Like other "30 For 30" films, it's streaming on Netflix and Amazon Prime.) Broke looks at the players' side of all that money and concludes that it's surprisingly easy to lose it, no matter how much you have. If Mike Tyson can declare bankruptcy, after all, who couldn't? Broke premieres Tuesday night at 8:00 p.m. on ESPN.